Join us on the weekend of April 5-7, 2019, for a three-day weekend of high performance driving fun in Southern Nevada. Spring Mountain Motor Resort & Country Club is a luxury private motorsports club a short drive from lively Las Vegas and scenic Death Valley. 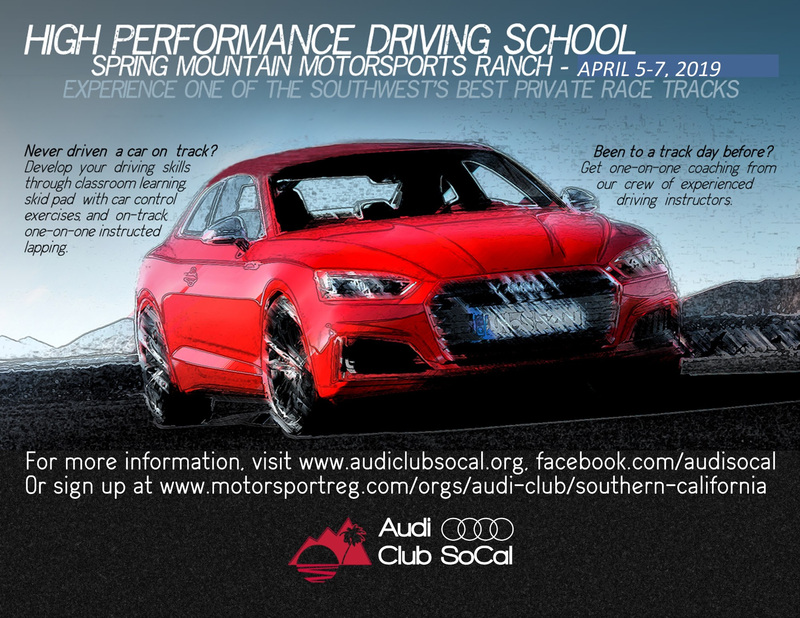 This event is a safe, fun weekend driving school suitable for all drivers in all makes and models of coupes and sedans. The skills you learn at our school will improve your everyday driving safety and enjoyment. Click the registration link for all the details! We look forward to seeing you at the track. We are going to have a great time!